As we continue to enhance our product offerings to deliver further ease of use and simplicity for our customers, we are happy to announce enhanced versions and new names for our cloud offerings. Starting today, we are unifying Redis Enterprise Cloud and Memcached Enterprise Cloud and naming them Redis Cloud Essentials . We are also renaming Redis Enterprise VPC to Redis Cloud Pro. In addition to rolling out new features for each cloud version, we will now offer Redis Cloud Pro as a fully hosted Database-as-a-Service (DBaaS). This means that customers can get started on Redis instantly without having to first create their own cloud accounts. Our two cloud products are suitable for varying use cases – from basic, small data sets up to large, global and distributed implementations. Customers can choose their deployment type (multi-tenant or hosted VPC), and we’ll deliver the relevant set of features based on their business needs. Redis Cloud Essentials is a fully hosted, fully managed, multi-tenant DBaaS in the cloud. Its pricing is based on memory size, either at fixed plan rates or using our pay-as-you-go model. Redis Cloud Essentials offers the blazing high performance that Redis is known for and includes all of its open source features. In addition, it also includes Redis Enterprise features, like high availability and infinite scalability, within a fully hosted cloud environment. Signing up for Redis Cloud Essentials is short and simple. Select your preferred cloud provider, region and plan, and you are ready to go. You can check it out yourself here . Redis Cloud Pro is also a fully hosted, fully managed DBaaS, with the addition of a dedicated virtual private cloud (VPC). Its pricing is based on memory size and maximum throughput, either at annual reserved rates or using our pay-as-you-go model. Redis Cloud Pro contains all Redis Cloud Essentials features, as well as Redis on Flash, active-active geo-distribution, active-passive geo-distribution, built-in full-text search and integrated modules (RedisJSON, RedisBloom and RedisGraph). Signing up for Redis Cloud Pro is also more simple. In just a few minutes, you can choose your cloud and region and then select the performance characteristics required for your database. Since we figured you’d have some questions about these enhancements, we’ve answered a few of them below and provided a handy comparison chart. 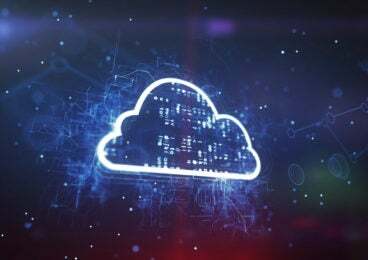 Feel free to get in touch with our cloud specialists if you need further details. Can I still deploy Redis Cloud Pro on my own cloud account? Yes, you can deploy Redis Cloud Pro on your own cloud account if you prefer to do so. Please contact Redis Labs’ cloud specialists, and they can set up your account to accommodate this. Who should use Redis Cloud Pro? Can I migrate my existing Redis implementation to Redis Labs’ cloud plans? Yes, existing Redis implementations can be migrated to any of our cloud plans, and you can migrate your databases between the two cloud plans as well. For more information, please contact Redis Labs’ support team.